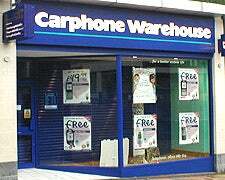 Laptops could be the next thing to be given away for free, according to the boss of UK phone giant Carphone Warehouse. Andrew Harrison, the firm's chief executive, reckons that mobile internet providers will be chucking portables at everyone in an attempt to sign people up to their services. Carphone Warehouse has its own telecoms arm, Talk Talk, which provides broadband for landlines, and started offering free lappies to residential customers last year. "You fast-forward this three or four years," says Harrison, "and it is a world where no one ever buys a laptop again but just expects it as part of their deal with their broadband provider or part of their monthly fee. They get a laptop and 18 months later they get a new one." The 37-year-old sees the laptop market as an extension of the cellphone market. "Everything that everybody told me about the mobile phone, I can see happening with the laptop," says Harrison. "I get people saying to me 'you will not get a builder on a building site getting a laptop out' and I say 'you would have said the same thing about a mobile phone 10 years ago'."